My family and I love Shakey's. My mom was the first person to ever introduce me to it, so growing up and until now with my own kids, we never fail to eat there at least twice or thrice a year. 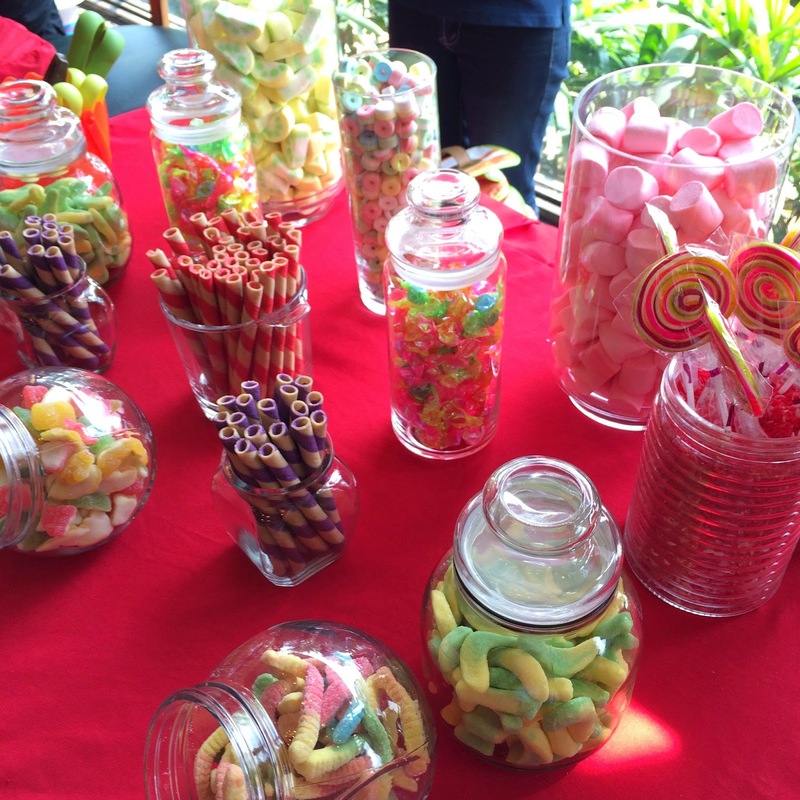 It just brings back so much childhood memories and not to mention really good food! 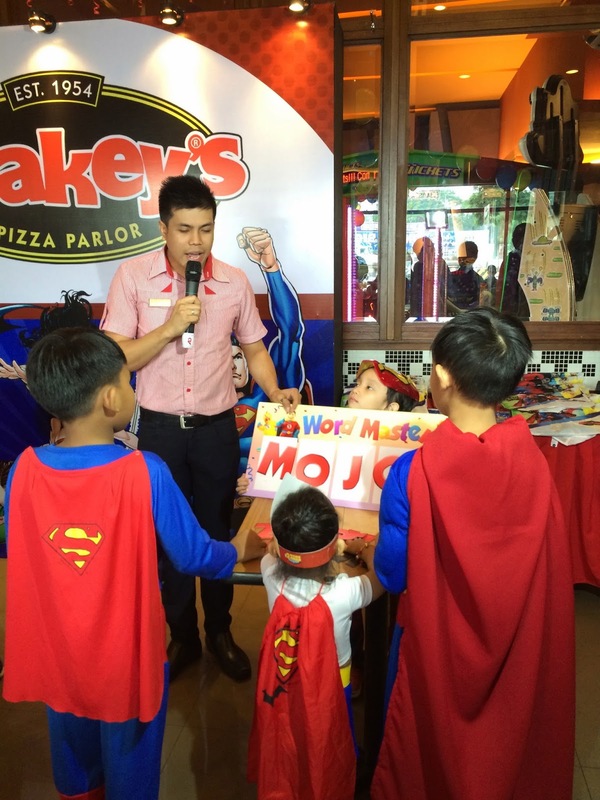 :) My youngest son Asher even had his 1st birthday party last year at Shakey's! :) The theme was Justice League and it was just beyond cute! 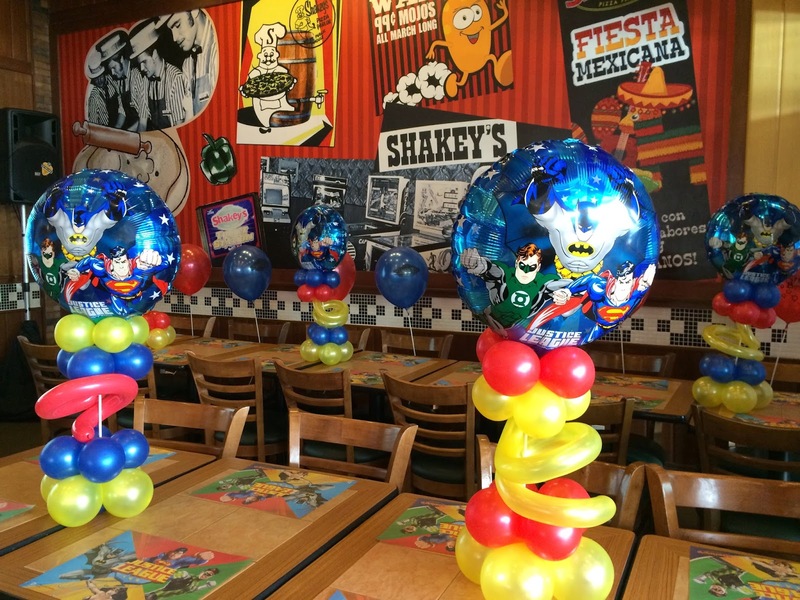 Shakey's today is still offering a Justice League themed party, but now they have the Justice League Unlimited party package, inclusive of signature dishes, activities, and even props that will further enliven the gathering. Mind you, they even encourage guests to dress up for the party! 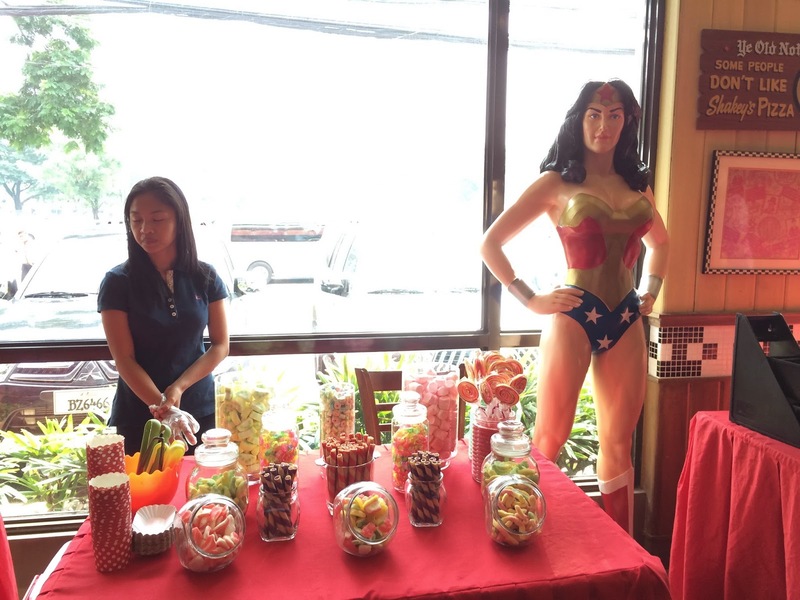 For the record, we didn't want to be rebels by dressing up in Marvel costumes, wherein this was obviously a DC party. 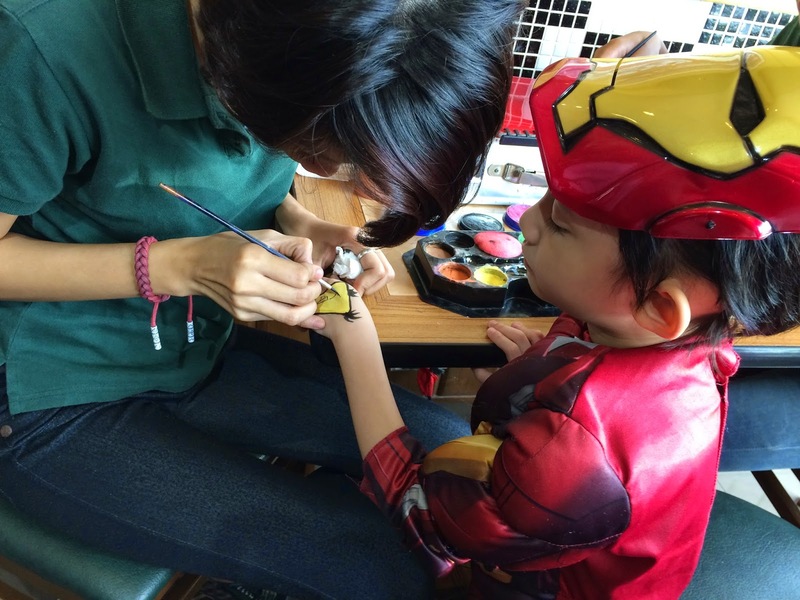 But we didn't have anything else, so we proceeded with our Iron Man and Captain America getup! =P Cute naman diba?? Makes up for our mistake! haha! Fun games for the kids! 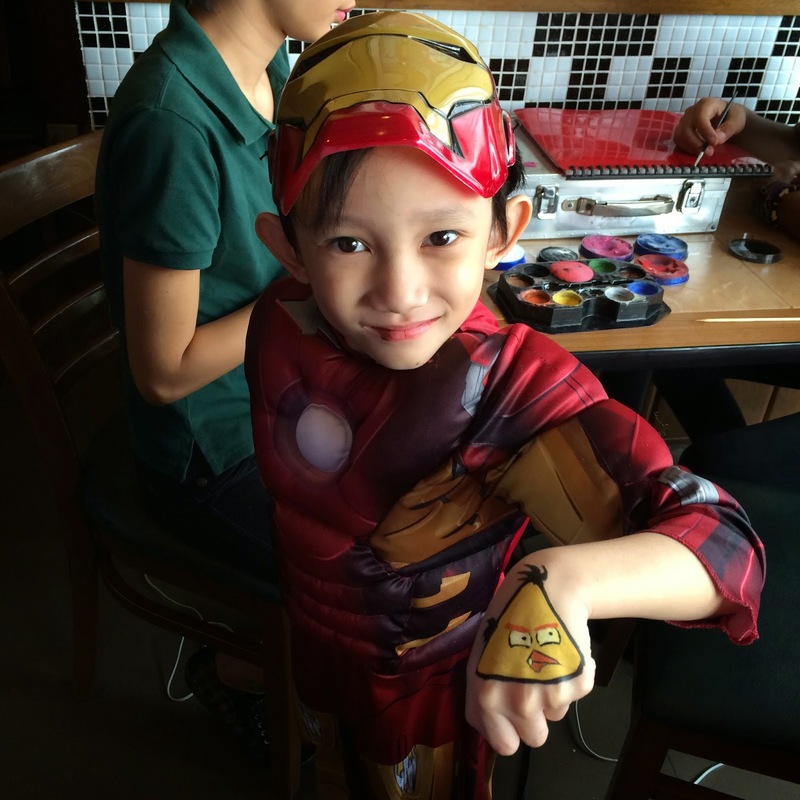 Team Superman / Iron Man! haha! :) Athan's team won the first game! Yey! 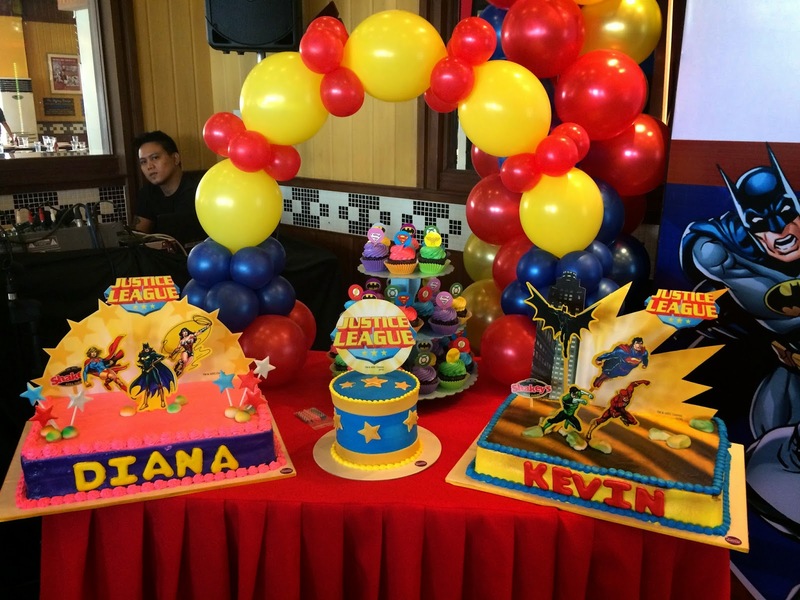 So, if you're still on the lookout for the perfect venue for your kid's birthday party, look no further! 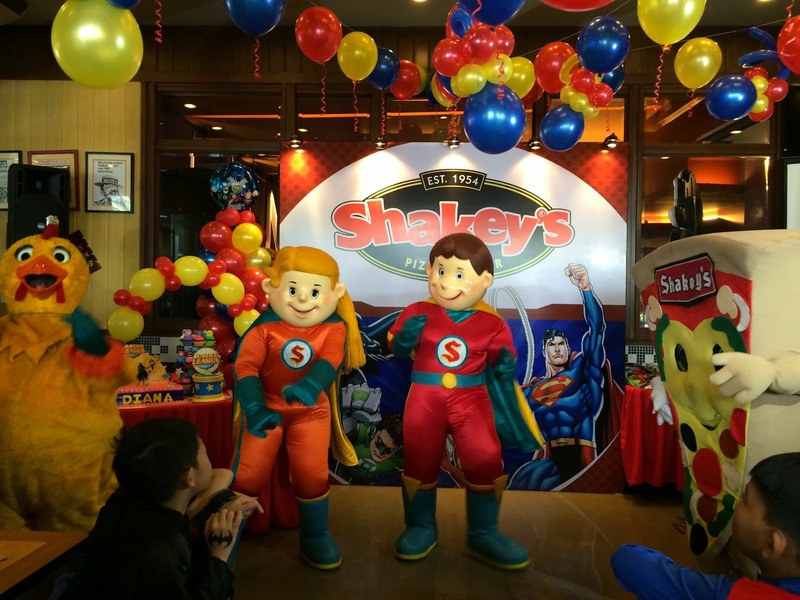 :) Try out the cool Shakey's JLU packages and bring in the Good Times and celebrate memories-- book your kid's party now and let their favourite superheroes like Superman, Batman, Wonder Woman, and the rest of the Justice League join in the revelry for a celebration that will truly be one for the books! I'm sure your kid had a blast birthday! 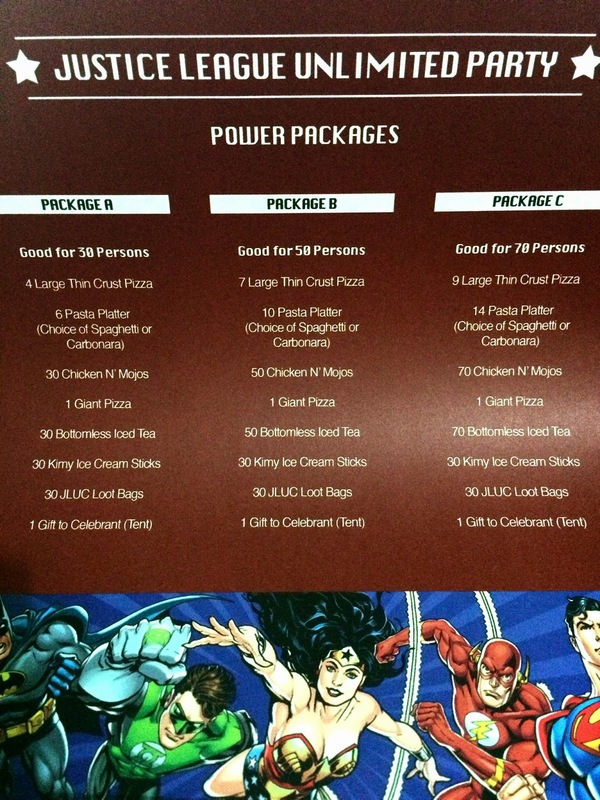 Shakey's birthday packages are really sulit. Plus that pizza~ argh! Looks like the kids had lots of fun! Love the costumes! Yay! Also, the huge pizza makes it more fun! I love Shakey's too. 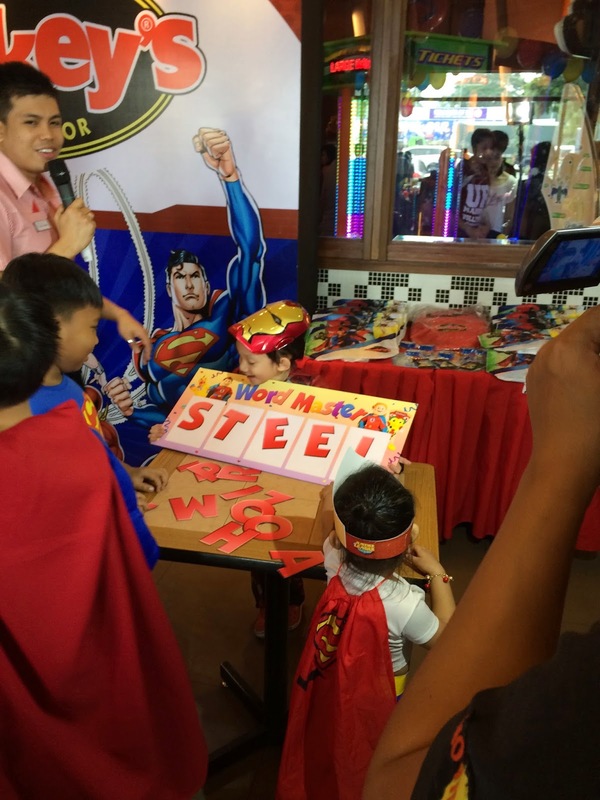 We were able to attend a few birthday parties there already and we always had lots of fun. :) That pizza, by the way, is HUGE! Super like this party! 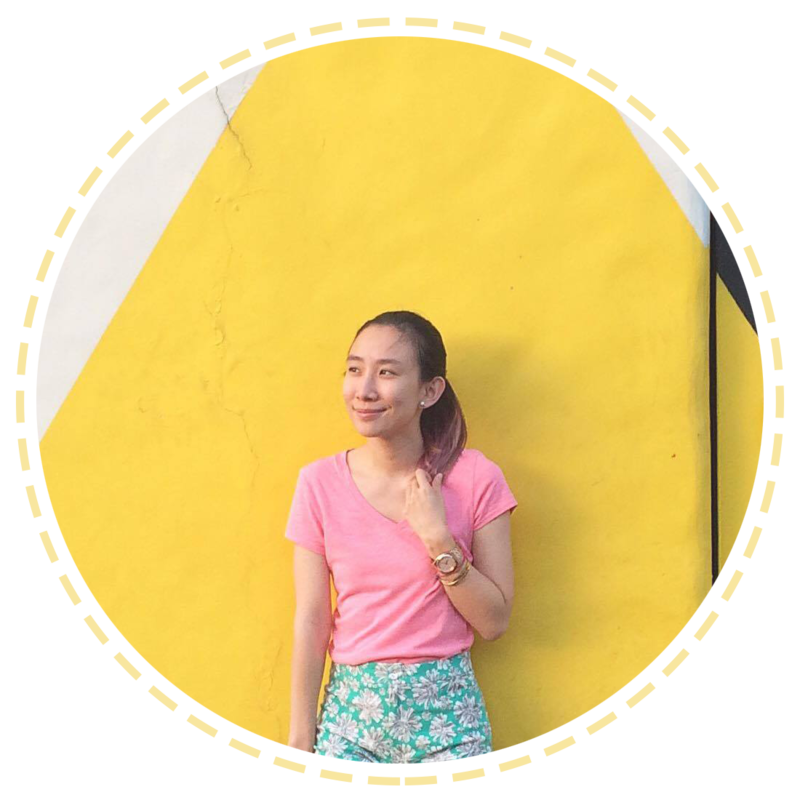 I enjoyed talaga. It was great seeing you and your kids. 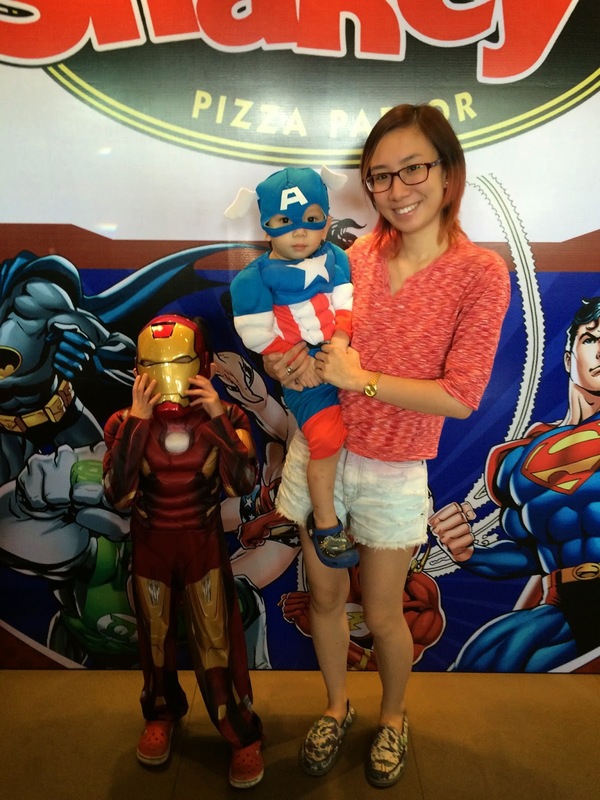 They have adorbs costumes ha :) I'll invest na din sa costume in case may parties na will require us to wear one. Waaaah! I was not able to attend this event! Mukhang super fun ah! 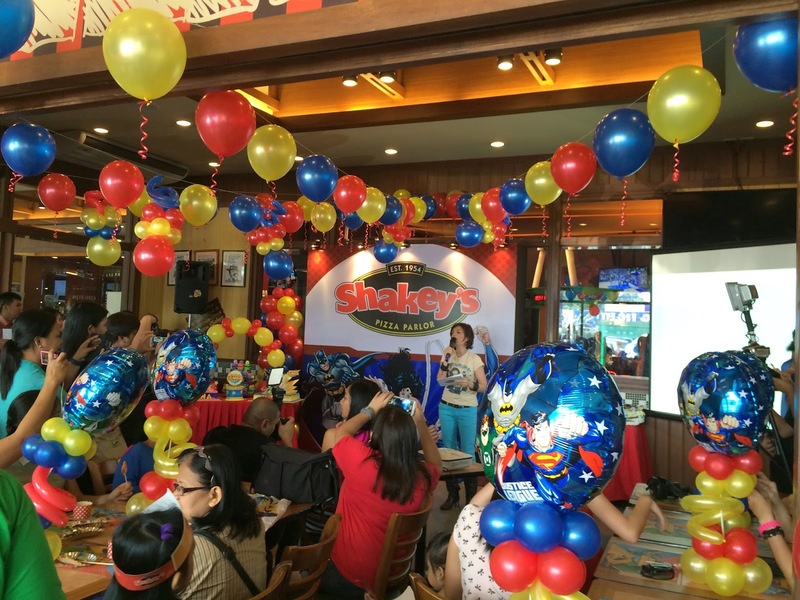 I want my daughter's next birthday party at Shakey's!